A silver cut halfpenny of Henry III dating to the period circa AD 1217 - 1242. Short cross reverse. Moneyer Robert. Mint of Canterbury. Class 7. North Vol 1, p.223, no.978-980. 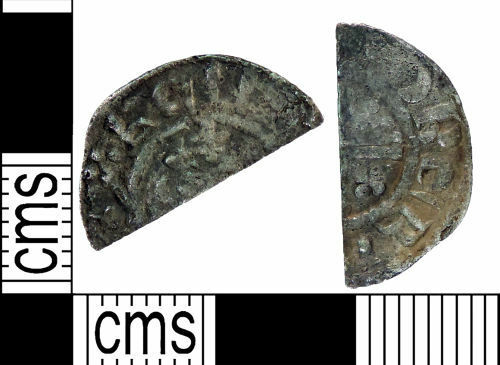 A medieval silver cut halfpenny of Henry III, dating to the period AD 1217-1242. Short-cross type, class VII. Canterbury mint. North: 978-980.